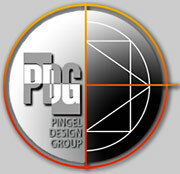 Pingel Design Group (PDG) founded in 1992 by Nathan Pingel, as an industrial design firm with a unique, multi-disciplinary approach to new product and service innovation. Pingel’s early career found him studying many cultures throughout history, looking for the best process to produce products that were; eco-balanced, increased speed of production, lowered cost, and produced a superior product. One of his findings was Henry Ford the renowned mass manufacturer who among many other creations; used recycled packaging materials in his cars, developed a soybean based plastic and increased wages for his employees before unions… just to name a few. A reporter once asked Henry Ford how he expected to succeed in pioneering the American auto industry since he was not an expert in engineering, manufacturing, metal processing or marketing. “I don’t have to be,” Ford reportedly replied, revealing a panel of buttons on his desk. “At the other end of every one of these buttons is an expert in each of those areas.” Ford’s concept, “an expert at your fingertips” has been adopted by Pingel Design Group. PDG is a 21st century version of the think tank. Each principal is a top-notch professional in his or her field of expertise, by operating with this variety of disciplines; PDG can provide innovative turnkey solutions for our clients. PDG’s design strategy is drawn from the Bauhaus concept of design and production. The Bauhaus followers believed that craftsmen developing high quality, well-designed prototypes suitable for mass production, would improve economic conditions and thereby improve society. The Bauhaus School was formed in part, as a reaction to the volatile socio-political climate after World War I. The founders of the Bauhaus School recognized the economic and social plight facing the working people in Europe. They created an institution to train an entirely new kind of colleague for industry–craftsmen with and equal command of technology and design. The Bauhaus doctrine encouraged the full integration of design and manufacturing through education in many disciplines simultaneously. PDG updated the Bauhaus model by forming partnerships of seasoned professionals who are unified in providing design/engineering/build solutions for the enhancement of business and society. PDG specializes in the following areas of design: retail and industrial product design, recycling processes, industrial equipment, product prototype, manufacturing equipment, process and system, packaging/point of purchase, sales/marketing, graphics, social media, project planning, business plans and finance.